Permanent deformation in asphalt pavement is a function of material properties, loading, environmental conditions, and structural design (e.g., thickness of pavement layers). Because of the large number of effective variables and their nonlinear interrelationships, it is not easy to develop a predictive model for permanent deformation. 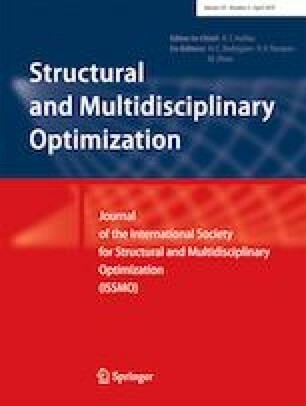 In this study, a laboratory database containing accumulated strain values (output) and material properties (inputs) from several asphalt pavements has been used to develop a predictive model for permanent deformation. We first show that the inputs are highly correlated, then principal component analysis (PCA) is used to compute a set of orthogonal pseudo-inputs. Two predictive models based on the pseudo-inputs were developed using linear regression analysis and artificial neural networks (ANN) and are compared using statistical analysis. Extrapolation using empirical predictive models is highly risky and discouraged by experienced practitioners, so to guard against extrapolation, a method is developed to determine an input hyper-space. The above-developed model, along with an n-dimensional hyper-space, provides sufficient information for supporting an optimization algorithm for finding the minimum accumulated strain. An asphalt pavement design with accumulated strain value of 1772 micro-strain (0.02 in. in a 10-in.-thick asphalt pavement layer) is obtained by solving the optimization problem and the design parameters meet flexible pavement design specifications. The proposed framework is able to generate accurate predictive models when the original inputs are highly correlated and able to map to an optimal point in the fitted input space.